Let’s answer that today. Why do you go to the dentist one to two times a year? Why do you get a yearly physical? Here’s a stretch, but why do you get your oil changed every 3000 miles? Why? Because prevention and maintenance makes sense. It’s better to get checked out before a major problem develops. Doesn’t it make sense to you? 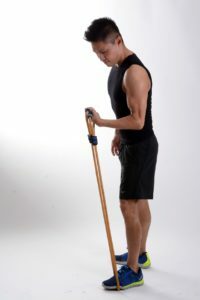 I have heard many times from an acute patient that is in acute pain, “I didn’t do anything, I just bent over to get my socks on.” The majority of my patients that are having pain will not be able to recall a specific moment or action(lifting something too heavy, falling) that initiated their pain. So what happened to them? Why are they in acute pain? It is simply that your body is in constant motion and constant stress. Everyday your spine is tested by all the things you do and it is normal for the vertebrae in your spine to start to slip out of alignment. Then one day you sneeze or bend over and end up doubled over with pain, muscle spasms and/or pinched nerves. Time to see Dr Maitland. Many of you know that taking pain medication is only masking what is really going on. Taking medicine for a mechanical problem is not the answer. You might feel better for a time, but you are not realigning your spine. Periodic check-ups can help prevent more serious problems from developing. Don’t ignore the symptoms that are trying to tell you to call Dr Maitland such as tightness, stiffness, decreased range of motion and/or joint pain. Staying healthy, active and mobile requires effort as a person gets older. You have to exercise, eat right, watch your weight, take proper supplementation(vitamins) and get regular adjustments. One more thing to keep in mind; research shows that people who get regular adjustments are healthier, get sick less often and have fewer hospital visits during their lifetime. Keep those appointments the Doctor recommends. Headaches are the most common reason for doctor’s visits in the United States. When a person gets a headache, it is a warning sign that something is off within the body. Most often, a headache can be attributed to muscle tension and nerve and blood irritation in the neck or simple dehydration. Cervical vertebrae can misalign from poor posture, trauma or repetitive movement. Then, this misalignment aggravates nerve roots in the neck and can cause minor constriction in some vessels that supply blood to the brain. The two most common types of headaches are called migraine and tension headaches. Both can be very intense, but have some differences. A tension headache is often described as mild to moderate pain on both sides of the head, often in the temples, forehead or base of skull. The pain is achy and triggers include lack of sleep, poor posture, stress and eye strain. A migraine is characterized as intense, throbbing pain on just one side of the head. A few other symptoms that may come along with a migraine include nausea, vomiting, dizziness, loss of appetite, visual disturbances like spots of flashing light that may leave the body feeling numb and fatigued. Triggers include low blood sugar, lack of sleep, alcohol consumption, strong smells and stress. People often miss work when they suffer from a migraine. A big contributor to headaches and migraines is physical trauma- car accidents among the worst. If you have been involved in some sort of motor vehicle accident, it is very common to have headaches from this type of injury. Headaches and migraines are common, but they are not normal. Tons of medications are prescribed every year to patients suffering from regular headaches. Although this may seem like the easiest fix, there is an alternative route you can and should take that may work even better than those medications. Chiropractors are trained to remove misalignments of the spine, resulting in fewer symptoms and healthier function. If there is a misalignment in the neck area, symptoms may include headaches and migraines. When the misalignment is removed from the cervical spine, it allows for nerve communication to go from the brain to the body without interruption. If you suffer from headaches, please call Lisle Chiropractic for an appointment. What is sciatica and how does it effect me? Most people have a fear that when they go to a doctor they are going to get a serious diagnosis that they fear. In order to avoid that conversation or conflict, they tell themselves that it will go away on its own. It’s not just a fear or hope, it’s actually a belief that people have about how their body and health works in general. If I don’t have symptoms I’m good. If I do have symptoms then eventually they will go away because other symptoms I’ve had in the past have gone away. This is really the case if you’ve felt it before. With sciatica, in most cases, the pain isn’t unbearable. It doesn’t hinder your everyday activities. You can still work, eat, and continue life as usual even with the pain, so why go and see a doctor and pay a bill if it goes away on it own, right? In my opinion, this way of thinking is indirectly why, according to the American Chiropractic Association, low back pain is the single leading cause of disability worldwide and why it’s one of the most common reasons why people miss work. When you have a flare up with pain and/or symptoms from sciatica, in actuality, it’s an aggravation of an already damaged or problematic area. Aggravations can commonly include inflammation and swelling of the discs or soft tissue structures and that is what is causing the sensations. When that swelling and inflammation decreases, the pain goes away. At this time you feel better and think you’re healed but that is not the case. Usually it just comes back again and again. The worst part about it is that it DOES get worse. 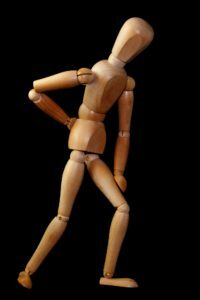 The abnormal structure that is causing the sciatica can and will start to degenerate if its not properly corrected. Degeneration presents in the form of bones and joints becoming arthritic, nerves being permanently damaged, discs drying up, and joints becoming more and more stiff. Most of these situations can lead you to surgery. Taking a medication for a structural issue is like putting a piece of black tape over your check engine light and not expecting your car to break down. When sciatica symptoms flare up, inflammation is likely one of the culprits. It creates pain and pressure within damaged structures. One of the common things I hear in practice is the use of NSAIDs (non-steroidal anti-inflammatory drugs) such as: ibuprofen, aspirin, naproxen. Studies show that these drugs help to reduce inflammation. Although it helps to decrease the inflammation now, it’s only helping you with the by product of your real problem. The ibuprofen or other drug will act as the black tape and all you’re doing is covering up the warning sign. The problem remains and is tearing your body down the longer its there. Usually the problem will get worse. My professional advice would be to not fall into this way of thinking. It’s usually cheaper and less time consuming when you see a chiropractor and treat the cause of the problem. Sciatica occurs due to a structural imbalance in the body. It’s usually a disc that is herniated due to abnormal structure in the lumbar spine or is damaged, vertebral misalignments that create pressure to the nerve roots, or a pelvic imbalance that can creates lumbar spine misalignments or tight or inflamed muscles that cause compression to the sciatic nerve. With those most common causes of sciatica now listed, go to a spinal specialist, which is your local chiropractor, and find out which is causing your sciatica. This information will better identify which treatment option would be best to treat your specific cause of sciatica. Doing nothing or covering up the problem only makes things worse. The decisions we make today affect the future directions we take. Your health is too important to wish or hope things will be fine and go away on their own.